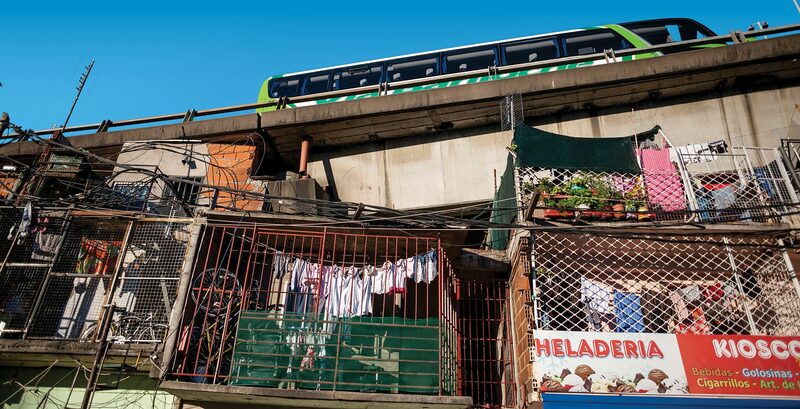 Can the shantytowns of Buenos Aires be integrated into the city that long neglected them? 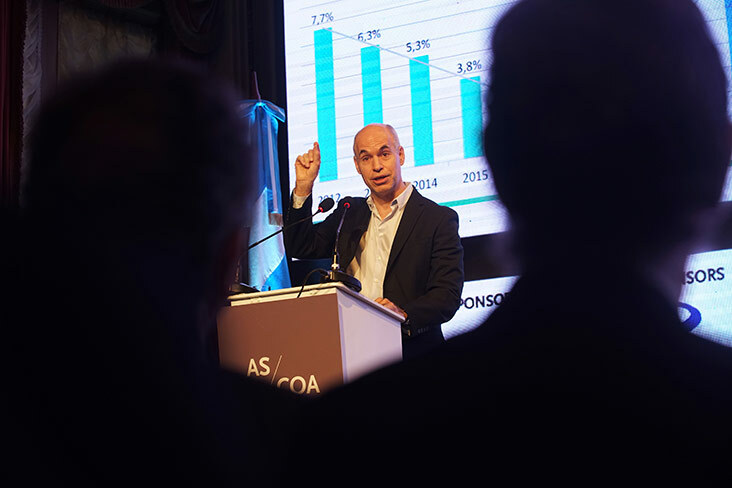 Mayor Rodríguez Larreta (below) plans to reinvigorate the “misery towns” of Buenos Aires by providing basic public services and diverting the highway that bisects the barrio (above). Villa 31 has existed in some form since the 1930s, when the squatter settlement housed European immigrants who worked on the railroads and at the port. Throughout the decades, multiple attempts at forced eviction and resettlement failed, though one late-1970s effort reduced the population to just 1,000. A decade later, the neighborhood began growing again and with it, the community’s problems. Today’s residents—predominantly young and about half immigrants from Bolivia, Paraguay, and Peru—are among the city’s most vulnerable. 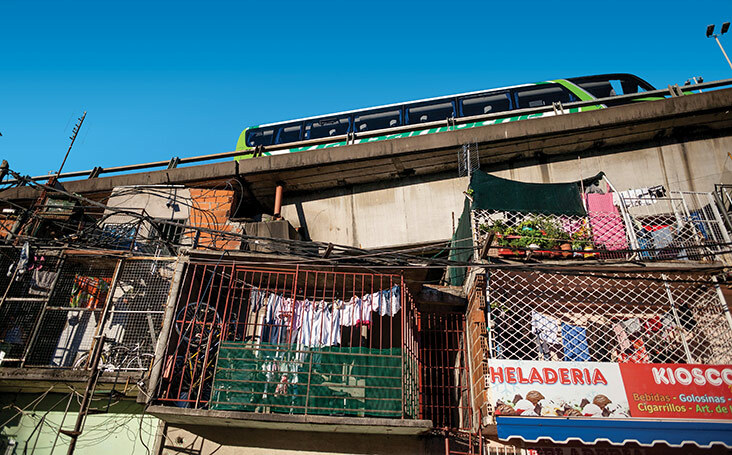 Rodríguez Larreta’s plan for developing the neighborhood is an ambitious one. When he unveiled his vision, 20 percent of houses in the barrio lacked a direct connection to drinking water, less than 80 percent were connected to the electrical grid, and 99 percent didn’t have access to gas for cooking and heating. These basic services will be provided by March 2019, the mayor says. That same month—the end of the Argentinian summer—two vocational schools are scheduled to open in the barrio. They will be the first public schools in a community where only about 60 percent of adults have finished secondary school. A massive construction project is also under way to reroute nearly a mile of highway. Instead of cutting through the barrio, the road will run over the nearby railroad tracks. In its place, where some of the area’s most dangerous housing now stands, Rodríguez Larreta envisions a park for a community that has had almost no green space. His plan is also an expensive one—US$320 million, financed by the World Bank and the Inter-American Development Bank—and a politically challenging one. It wasn’t until Buenos Aires’s former mayor Mauricio Macri was elected president of Argentina in 2015 that all the pieces for the investment fell into place. (Rodríguez Laretta served as Macri’s chief of the cabinet of ministers for all eight years of his mayoralty.) The project remains unpopular with a portion of the city’s voters, who don’t believe the government should be investing in a neighborhood that has existed for decades without contributing to the city’s tax base.